The Haryana government on Tuesday decided to rename Gurgaon district as Gurugram district. The decision was taken by the Manohar Lal Khattar government in view of demands by people of the area. The decision to change the name of Gurgaon to Gurugram has been taken on the basis of the representations received at several fora, an official spokesman said. “Haryana is a historic land of the Bhagwat Gita and Gurgaon had been a centre of learning,” the spokesman added. “Gurgaon district derived its name from the name of Guru Dronacharya; the village was given as gurudakshina to him by his students, the Pandavas, and hence it came to be known as Guru-gram, which in course of time got distorted to Gurgaon. Thus, the district has been existence since the times of Mahabharata,” the official website states. It was not clear if the decision will also affect the name of ‘Gurgaon city’, which has become a face of a rapidly growing India. The Gurgaon district is divided into three sub-divisions – Gurgaon North, Gurgaon South and Pataudi – which are further divided into five tehsils, namely, Gurgaon, Sohna, Pataudi, Farukh Nagar, Manesar. It also comprises four blocks – Pataudi, Sohna, Gurgaon and Farrukhnagar. The state government today also decided to change the name of Mewat district to Nuh. Mewat, in fact, is a geographical and cultural unit and not a town. It is spread beyond Haryana in the adjoining states of Uttar Pradesh and Rajasthan, the spokesman said. In the epic Mahabharata, Drona or Dronacharya was the royal preceptor to the Kauravas and Pandavas. He was a descendant of the sage Angirasa. He was a master of advanced military arts, including the divine weapons or Divya Astras. Arjuna was his favorite student. Ashwatthama, another major combatant in the Kurukshetra war, is the son of Drona. Drona is the avatar of Brihaspati. Since, Drona was not born from a womb, but from a vessel made of leaf, he was named ‘Drona’ which means ‘vessel made of leaf’. The story of Drona’s birth is related dramatically in Mahabharata. 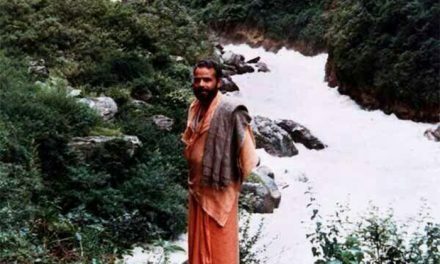 Bharadwaja went with his companions to the Ganga River to perform his ablutions. There he beheld a beautiful apsara named Ghritachi who had come to bathe. The sage was overcome by desire, causing him to produce a reproductive fluid. Bharadwaja Muni captured the fluid in a vessel called a Drona, and Dronacharya himself sprang from the fluid thus preserved. Drona would later boast that he had sprung from Bharadwaja without ever having been in a womb. Dronacharya spent his youth in poverty, but studied Dharma and military arts such as archery, in which he gained expertise, together with the then prince of Panchala, Drupada. Drupada and Dronacharya became close friends. Dronacharya married Kripi, the sister of Kripa, the royal teacher of the princes of Hastinapura. Like Drona himself, Kripi and her brother had not been gestated in a womb, but outside the human body. Kripi and Drona had a son, Ashwatthama. Learning that Parasurama was giving away his possessions to brahmanas, Drona approached him. Unfortunately, Parasurama only had his weapons left. He offered to give Drona the weapons as well as the knowledge of how to use them. Thus, Drona obtained all of his weapons, and his title of ‘acharya’. For the sake of his wife and son, Drona desired freedom from poverty. Remembering a childhood promise given by Drupada, he decided to approach him to ask for help. However, King Drupada refused to even recognize their friendship. Drupada, said Friendship, is possible only between persons of equal stature in life. As a child, he said, it was possible for him to be friends with Drona, because at that time they were equals. But now Drupada had become a king, while Dronacharya remained a luckless indigent. Under these circumstances, friendship was impossible. However, he said he would satisfy Dronacharya if he asked for alms befitting a Brahmin, rather than claiming his right as a friend. Drona went away silently, but in his heart he vowed revenge. Dronacharya went to Hastinapura. 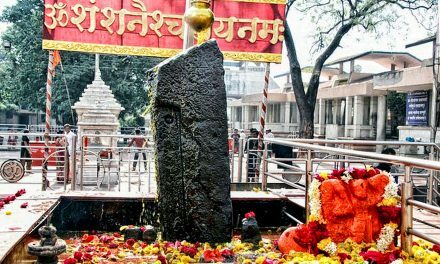 One day, he saw a number of young boys, the Kauravas and Pandavas, gathered around a well. He asked them what the matter was, and Yudhishthira, the eldest, replied that their ball had fallen into the well and they did not know how to retrieve it. Dronacharya laughed, and mildly rebuked the princes for being helpless over such a plain problem. Drona first threw in a ring of his, collected some blades of grass, and uttered mystical Vedic chants. He then threw the blades into the well one after another, like spears. The first blade stuck to the ball, and the second stuck to the first, and so on, forming a chain. Drona gently pulled the ball out with this rope of grass. In a feat that was even more amazing to the boys, Drona then chanted Vedic mantras again and fired a grass blade into the well. It struck within the center of his floating ring and rose out of the well in a matter of moments, retrieving Drona’s ring. Excited, the boys took Dronacharya to the city and reported this incident to Bhishma, their grandfather. Bhishma instantly realized that this was Drona, and – his prowess having been exemplified – asked him to become the Guru of the Kuru princes, training them in advanced military arts. Drona then established his Gurukula near the city, where princes from numerous kingdoms around the country came to study under him. This village came to be known as Guru-Gramam (“guru” – teacher, “grama” – village), and has now developed into the city of Gurgaon. Of all the Kaurava and Pandava brothers training under Drona, Arjuna emerged as the most dedicated, hard-working and most naturally talented of them all, exceeding even Drona’s own son Ashwatthama. Arjuna assiduously served his teacher, who was greatly impressed by this devoted pupil. Arjuna surpassed Drona’s expectations in numerous challenges. When Dronacharya tested the princes’ alertness and ability by creating an illusion of a crocodile attacking him and dragging him away, most of the princes were left dumbfounded. Arjuna, however, swiftly fired arrows to slay the illusioned animal, and Dronacharya congratulated Arjuna for passing this test. 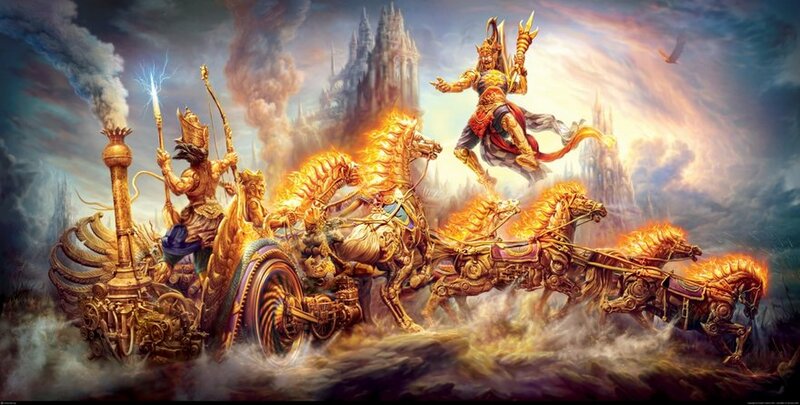 As a reward, Drona gave Arjuna mantras to invoke the super-powerful divine weapon of Brahma known as Brahmāstra, but told Arjuna not to use this invincible weapon against any ordinary warrior. In a great challenge, Drona set up a wooden bird upon a tree, and from across the adjacent river, asked the princes to shoot it down by striking its eye. When prince Yudhishthira tried first, Drona asked him what he saw. Yudhishthira replied that he saw Drona, his brothers, the river, the forest, the tree and the bird. Drona replied that Yudhishthira would fail and asks another prince to step forward. The others, even Ashwatthama, gave similar replies, and Dronacharya was disappointed with all. But when Arjuna stepped forth, he could only see the eye of the bird and nothing else. Drona asked him to shoot, and Arjuna did strike the bird down in the eye. One day Arjuna was eating food and the light was put off by the wind. Arjuna noted that even in complete darkness, by practice, hands would reach one’s mouth. This struck Arjuna, and he started to practice archery in darkness. He began training by night to use his weapons in absolute darkness, and steadily achieved a great level of skill. Drona was greatly impressed by Arjuna’s concentration, determination, and drive, and promised him that he would become the greatest archer on earth. 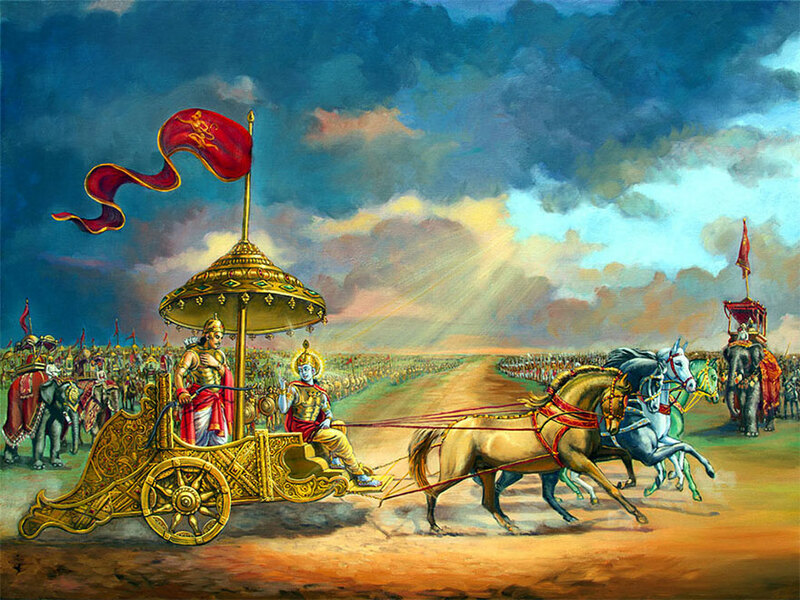 Drona gave Arjuna special knowledge of the divine Astra’s. Drona was partial especially to Arjuna and Ashwatthama. Drona dearly loved his son Ashwatthama and as a guru, he loved Arjuna more than anyone. A strong criticism of Dronacharya springs from his behavior towards Ekalavya and his strong bias in favor of Arjuna. Ekalavya was the son of a Nishadha chief (tribal), who came to Dronacharya for instruction. Dronacharya refused to train him along with the kṣatriya princes because Ekalavya was not a kṣatriya prince. Drona rejected the request of Eklavya to be his teacher. Ekalavya began study and practice by himself, having fashioned a clay image of Dronacharya. Solely by his determination, Ekalavya became a warrior of exceptional prowess, with abilities to be better than the young Arjuna. One day, a dog’s barking disturbed a focused Ekalavya. Without looking, Ekalavya fired arrows that sealed up the dog’s mouth. The Kuru princes saw this dog running, and wondered who could have done such a feat. They saw Ekalavya, who announced himself as a pupil of Drona. Arjuna reported this to Drona. Drona visited Ekalavya with the princes. Ekalavya promptly greeted Drona as his guru. Heavily, Dronacharya asked Ekalavya for a Daksina. When Ekalavya promised anything, Dronacharya asked for Ekalavya’s right thumb. Though his expression faltering, after confirming the request, Ekalavya unhesitatingly cut it off and handed it to Dronacharya, despite knowing that this would irreparably hamper his archery skills. In contemporary India, Ekalavya is celebrated as a subaltern hero and Drona as a typical representative of Brahmanical ideology. 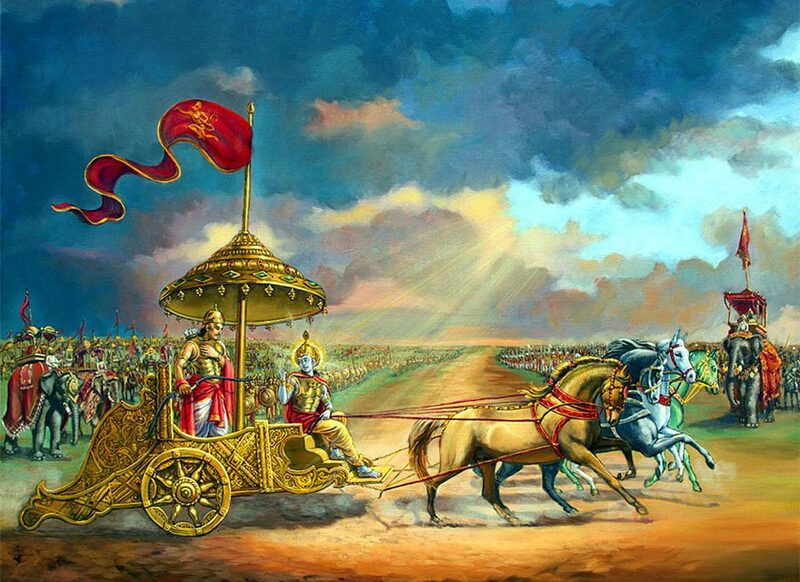 Dronacharya similarly rejected Karna, as he was a son of a charioteer and not a Kshatriya. The school established by Dronacharya belonged only to princes of Hastinapura and its allies. Humiliated, Karna vowed to learn nonetheless, and obtained the knowledge of weapons and military arts from Drona’s own teacher Parasurama. Parasurama trained Karna and gifted entire knowledge of divine weapons and Astra’s including Vijaya (bow) and declared Karna equal to himself in the art of warfare. Thus Drona inadvertently laid the foundation for the great rivalry between Arjuna and Karna. On completing their training, Dronacharya asked the Kauravas to bring him Drupada bound in chains. Duryodhana, Duḥśāsana, Yuyutsu, Vikarna, and the remaining Kauravas attacked Panchal with the Hastinapur army. They failed to defeat the Panchal army, whereupon Dronacharya sent Arjuna and his brothers for the task. The five Pandavas attacked Panchal. Arjuna defeated Drupada, as ordered. Dronacharya took half of Drupada’s kingdom, thus becoming his equal. He forgave Drupada for his misdeeds, but Drupada desired revenge. He performed a Yajña to have a son who would slay Dronacharya and a daughter who would marry Arjuna. His wish was eventually fulfilled and thus were born Dhṛṣṭādyumna, the slayer of Dronacharya, and Draupadī, the consort of the Pandavas. In Udyoga Parva of Mahabarata, Bhishma declared Drona as a mighty Maharatha, or a warrior capable of fighting 60,000 warriors simultaneously; circumspect in his mastery of all forms of weapons and combat skills. Dronacharya was a fearsome warrior who was trained in the use of weapons by his own father, Bharadwaja, and Agnivesha, the disciple of Bharadwaja. 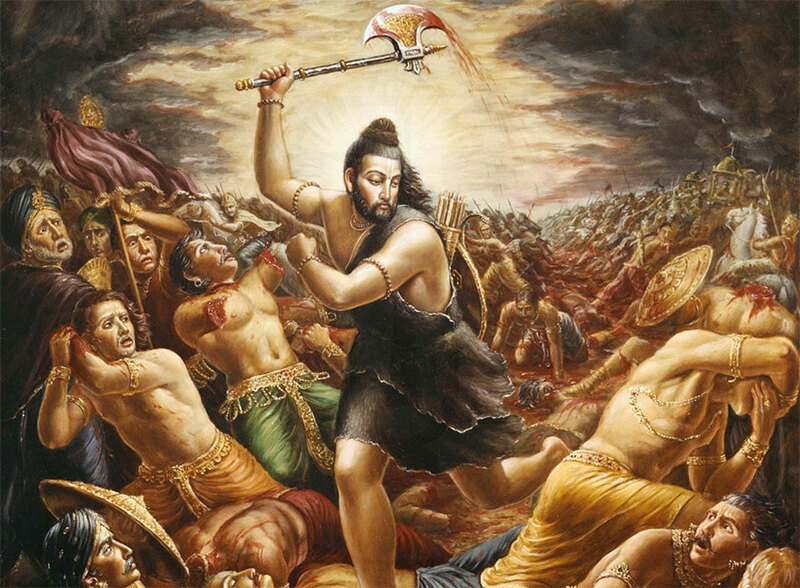 Drona acquired many celestial weapons from the legendary Parashurama himself. After performing severe penances, Drona acquired the infallible Brahmashira weapon from the Sage Agastya. Drona also acquired the extremely rare Narayanastra as consequence of his hospitality he extended to Lord Vishnu. Drona would receive a divine bow from his ancestor, Angirasa. Because of his education, Drona become unrivalled and one of the most powerful warriors of all time. Dronacharya had been the preceptor of most kings involved in the Kurukshetra War, on both sides. Dronacharya strongly condemned Duryodhana exiling the Pandavas, as well as the Kauravas’ general abuse towards the Pandavas. But being a servant of Hastinapura, Dronacharya was duty-bound to fight for the Kauravas, and thus against his favorite Pandavas. Dronacharya was one of the most powerful and destructive warriors in the Kurukshetra War. He single-handedly slayed hundreds of thousands of Pandava soldiers, with his powerful armory of weapons and incredible skill. After the fall of Bhishma, he became the Chief Commander of the Kuru Army for 5 days of the war. Duryodhana manages to convince Drona to try and end the war by capturing Yudhishthira. Though he killed hundreds and thousands of Pandava soldiers, Drona failed to capture Yudhishthira on days eleven and twelve of the war, as Arjuna was always there to repel his advances. On the 13th day of battle, the Kauravas challenged the Pandavas to break a spiral shaped battle formation known as the Chakravyuha. Dronacharya as commander formed this strategy, knowing that only Arjuna and Śrī Kṛiṣṇa would know how to penetrate it. The Trigartas were distracting Arjuna and Krishna into another part of the battlefield, allowing the main Kuru army to surge through the Pandava ranks. Arjuna’s young son Abhimanyu had the knowledge to penetrate the formation but didn’t know the way out. At the request of Yudhishthira, Abhimanyu agreed to lead the way for the Pandava army and was able to penetrate the formation. However, he was trapped when Jayadratha, the king of Sindhu, held the Pandava warriors who were following him, at bay. Abhimanyu did not know how to get out of the Chakra Vyuham, but embarked upon an all-out attack on the Kuru army, killing tens of thousands of warriors single-handedly. Drona is impressed with Abhimanyu and praises him endlessly, earning the ire of Duryodhana. With his army facing decimation, Drona asked Kaurava maharathis to simultaneously attack Abhimanyu, to strike down his horses and his charioteer and to disable his chariot from different angles. Left without support, Abhimanyu began fighting from the ground, whereupon all the Kuru warriors simultaneously attacked him. Exhausted after his long, prodigious feats, Abhimanyu was eventually was killed by the simultaneous attack by Kaurava warriors. All this was the violation of the rules of war, whereby a lone warrior may not be attacked by more than one, and not at all if he is disabled or without chariot. This devious murder of his son enraged Arjuna, who swore to kill Jayadratha, whom he saw as responsible for his son’s death. If he failed to do so the next day, he would step into fire and commit suicide. Drona constructed Padma Vyuha for the protection of Jayadratha, and on the fourteenth day, stood at the head of the formation. Arjuna and him duel, and Arjuna is unable to bypass his preceptor. With Krishna’s prodding, Arjuna circumvents Drona. When Drona asks him why he won’t fight, Arjuna tells Drona that he sees Drona not as an enemy, but as his teacher. Smiling, Drona gives Arjuna permission to leave, and blesses him with victory. Arjuna managed to kill Jayadratha. On the 15th day of the Mahabharata war, Drona got instigated by Duryodhana’s remarks of being a traitor. He used the Brahmastra against the Pandava soldiers. Later he invoked the Brahmanda astra; Drona never imparted this knowledge to anyone, even Arjuna and Ashwatthama. At that moment, all the Sapta Ṛṣis appeared on the sky and requested Drona to retract this ultimate weapon otherwise because of the rampant destruction it would cause. Dronacharya obeyed, retracting the weapon. Lord Krishna knew that it was not possible to defeat Dronacharya when he had bow and arrow in his hands. Krishna also knew that Dronacharya loved his son Ashwatthama very dearly. So, Krishna suggested Yudhishthira and other Pandava brothers that, if he were convinced that his son was killed on the battlefield, then Dronacharya would be desolate and would disarm himself in grief. Lord Krishna suggested that Bhima kill an elephant by name Ashwatthama and claim to Dronacharya that he has killed Dronacharya’s son Ashwatthama. After killing the elephant as suggested, Bhima loudly proclaimed that he had killed Ashwatthama. Dronacharya however, did not believe Bhīma’s words and approached Yudhishthira. Drona knew of Yudhishthira’s firm adherence to Dharma and that he would never ever utter a lie. When Dronacharya approached Yudhishthira and questioned him as to whether his son was dead, Yudhishthira responded with the cryptic ‘Ashwatthama is dead. But it is an elephant and not your son’. Krishna also knew that it was not possible for Yudhishthira to lie outright. On his instructions, the other warriors blew trumpets and conches, raising a tumultuous noise in such a way that Dronacharya only heard that “Ashwatthama was dead”, but could not hear the latter part of Yudhishthira’s reply. Out of grief, and believing his son to be dead, Dronacharya descended from his chariot, laid down his arms and sat in meditation. Closing his eyes, his soul went to Heaven by astral travel in search of Ashwatthama’s soul. Dhṛiṣhṭādyumna took this opportunity and beheaded the unarmed Dronacharya. I have read your article on Gurugram after Dronacharya. Can you explain what is the MORAL of this story of deceit and revenge? please mail all great biographies and stories to me through email. The conduct of Drona during the killing of Abhimanyu, and in relation to Eklavya and Karna as also his silence during the unrobing of Draupadi are certainly blame-worthy according to modern morals. Most virtuous people also have their weaknesses. Let us ignore his failings and focus on his good points as a great teacher and warrior. There is a very great moral in this story. Dronacharya’s driving force was his attachments and dogmas, whereas Yudhistara’s driving force was his conscience. And this is why Mahatma Gandhi says: There is no law above conscience. Many thanks to them who reminded the memories of Indian culture and doing the changes. It is really good informative article, specially for today generations who are across. A sage must not act unethically and in a partisan manner. Demanding this kind of gurudakshina is the height of cruelty. Moreover, the entrenched cast factor is also seen in this act. Dronacharya is considered a sage because he figured in a respected epic; otherwise his action can be termed as savage in any civilized society. *In this story Eklavya comes out in shining colours; much truthful than all others in the epic. This is my view and I am not questioning any other view. *Can any one enlighten me as to what ultimately happened to this wonderful man Eklavya. Why can not the country have a monument for him for his devotion and his truthfulness!!!! I agree with MM completely. What happened to Ekalavya and why not commemorate him for Guru Bhakti?